to its modular construction, it is suitable for many applications. SCITOS G5 brings along all the basic functionality that enables rapid scenario implementation and testing. For the launch of your research projects, our robot platform offers a highly innovative system that combines the latest technological developments in robotics and established industrial technology. SCITOS G5 is equipped with a navigation software specifically developed by MetraLabs and proven in practice. German technical inspection association TÜV Thüringen has certified the safety functions according to EG guidelines. 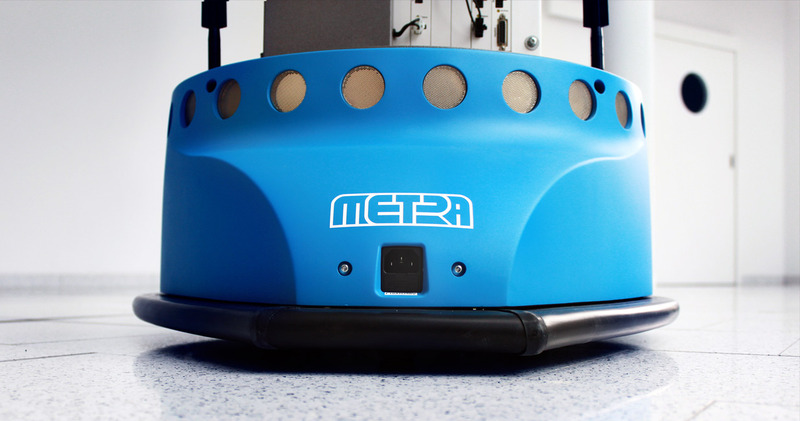 We develop and manufacture our robots to the highest quality guidelines out there. 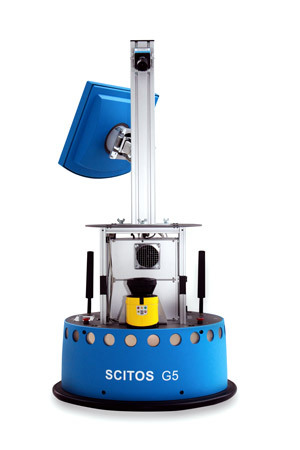 The SCITOS robot turned out to be a robust and reliable, universal research platform, which can be used continuously hundreds of hours and kilometers for autonomous driving. MetraLabs provided us with excellent technical support and software updates throughout our entire, demanding project.